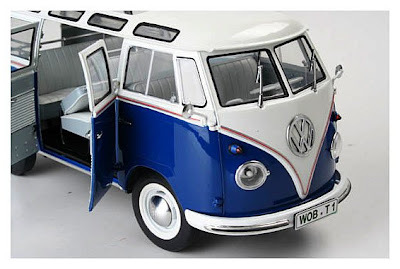 Strictly speaking, the Volkswagen Samba is the people-carrier bus version of the original split-screen VW Type 2, not the famous camper. 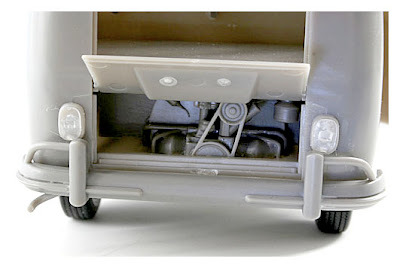 But let’s not be fussy, the box-on-wheels Type 2, first introduced in 1950, is still leading-edge where the fashionable young are concerned and the basic product - in much improved form - is still being produced in Brazil. 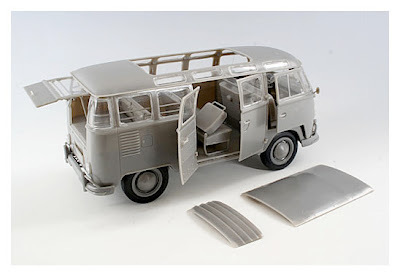 And here are test-shots of Revell’s upcoming Samba, which should make an ideal basis for camper conversions and beachside dioramas. 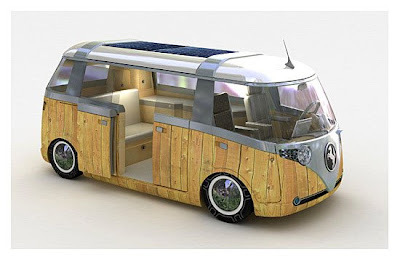 The picture at the bottom is a little different - it’s a concept design for an updated state-of-the-art VW Camper - SMN’s not totally convinced by the ‘woody’ panels but the rest of it looks ace: come on VW, let’s have one soon.